Our rail transit and bus experience includes light rail, commuter rail, heavy rail/subways, and city/regional bus systems. This experience includes primarily communications system planning, communications engineering, information systems/information technology services, and systems integration. We have worked on more than 20 transit systems and line extensions that have been built or are currently under construction. We are a leader in implementing state of the art, open architecture, digital broadband data, audio and video communications systems. These systems utilize Gigabit Ethernet, Synchronous Optical Networks (SONET), Asynchronous Transfer Mode (ATM) switches, fiber optic and wireless communications backbones, Ethernet enabled station and remote devices, Ethernet access for serial data devices, user friendly man-machine interfaces, and ergonomically friendly control centers. Our broad range of transit system experience gives our firm the unique ability to understand the interfaces to all transit subsystems in the field, and as part of central control software and the man/machine interface. Our goal is to assist transit system operators in improving service to their customers by providing information to passengers and improving on time performance of transit systems. Communications Based Train Control System Assessment. The Lamoreaux Group completed a technology assessment of the nearly completed communications based train control system (CBTC), including site survey, meetings with the contractor and subcontractors, and assessment report. The report focused on issues related to the CBTC system which were preventing reliable train to wayside communications. The system utilized 2.4 GHz frequency hopping spread spectrum wireless communications, as well as a 904 Mhz train tagging/beacon system. The report included an analysis of antenna placement, antenna selection, radio, amplifier and enclosure selections, as well as data communications between central control and wayside. LG also evaluated the use of 2.4 Ghz wireless communication, versus 900 Mhz and 802.16/802.20 wireless systems. 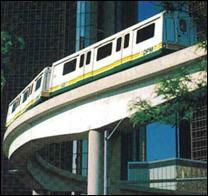 Monorail System Assessment. The Lamoreaux Group com pleted an assessment of the overall system, including vehicles, guideway, stations, traction power substations and contact rail, train control, and communications. 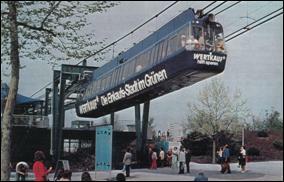 LG prepared a report which included the monorail technology history, as well as all elements of the monorail system. The purpose of the report was to review the current installation and to address problem areas within the system. Schedule Analysis. The Lamoreaux Group completed a schedule analysis and report, covering 37 project progress schedule updates, project baseline and as-built schedule, project progress reports, project contractual dates and deliverables, permitting process, change orders, design change notices, and project documentation. 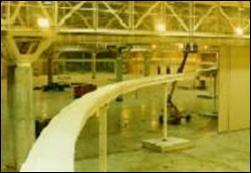 Guideway Design and Construction. 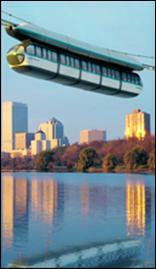 Magnetic Transit of America (MTA) proposed on a system to be installed at the Newark Airport, in Newark, New Jersey. LG was asked to develop guideway alignments to be used as part of the MTA proposal. LG developed a preliminary alignment to fit the existing stations, which had been constructed many years earlier in anticipation of installing a people mover at the Airport. Von Roll Transport Systems later won the contract to install the system. LG was then hired by Von Roll to assist in developing the final guideway alignment, and in preparing technical and procurement specifications and drawings for the guideway and power rail heating systems. LG proprietary software for Euler Spiral guideway alignments was used to develop the final alignment for the Newark System. LG also designed the maintenance and recovery vehicle and support equipment with 3D solids modeling. LG produced the following deliverables for Von Roll: Safety Plan, Security Plan, Failure Management and Winteriza tion Plan. Switching System Design. LG was called on to assist in reducing costs on the Swiss designed switching structures by preparing alternate switch conceptual designs. LG was also responsible for designing the maintenance/recovery vehicle and support equipment, including structure, bogies, hydraulics and electrical systems. People Mover General Systems Design. Previous smaller capacity Aerobus systems have been installed in Mannheim, Germany and St. Anne, Quebec. The Lamoreaux Group was hired by Aerobus International to assist in the research, development and modernization of an existing Swiss technology f or a cable supported monorail system, originally developed by Gerhardt Mueller. As systems engineers, we were initially responsible for developing the General System Specification, upon which all of the subsequent design effort would be based. Our services included: system planning/design/ engineering, test track planning, general and detailed specifications, capacity analysis, velocity profile, duty cycle computer modeling, cost estimation, technical marketing as well as graphical and animation support. LG performed planning, design, engineering and procurement support on design of all transit subsystems, including communications/SCADA, vehicles, modules, bogie, chassis, vehicle electrical and communications systems, train control, overhead contact system, power substations and distribution, guideway cable and steel structure, guideway switches and foundations, stations, maintenance facility, central control, and maintenance support equipment. LG was responsible for the system capacity analysis, vehicle velocity profile, motor/power duty cycle computer modeling, contract administration and design oversight for all design efforts. 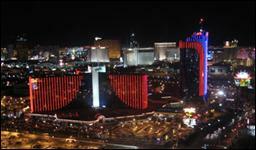 The Rio Hotel/Casino began the development of a new addition to their existing Hotel/Casino operation, which included an underhung monorail, that was envisioned to carry a parade of floats in the cavernous lower portion of the hotel, as part of a Las Veg as show. Planning, design, and engineering were completed by LG for all of the track alignment as a subconsultant to Creative Technology/Entertainment Engineering, including numerous switching structures, based upon initial rough plans from Harris Productions. LG defined X,Y,Z coordinates and attachment points to the complex overhead supporting hotel structure. Switch alignments were refined to enable higher travel speeds, and to have common components. LG also produced shop drawings for the switch structure on behalf of Intermountain Lift. Systems Design. LG assisted in the design phase of the project, with responsibilities in design of the guideway, power distribution, power rail system, train control and vehicle systems. LG completed drawings for guideway beams, columns, foundations, erection plan, power rail, and switches. LG completed detailed wiring diagrams for vehicle wiring, cable, terminal strips, quick disconnects, junction boxes, wiring harnesses and interconnections with the vehicle equipment. Construction Management. The Lamoreaux Group was asked to provide construction management services for the new Dade County Metrozoo People Mover. LG performed inspections for the guideway and power rail at the manufacturing facilities and supervised construction crews to install the power distribution system, power rail, transfer table and maintenance facility equipment. Rehabilitation Design Project. 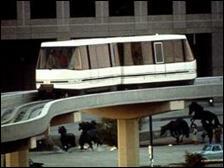 The Lamoreaux Group, in association with Creative Technology, was retained by Dade County Florida to evaluate damage to the system and buildings caused by 173-mph hurricane winds and tornadoes from Hurricane Andrew, for the Dade County Metrozoo Monorail in Miami, Florida. 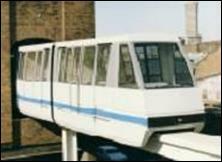 This Universal Mobility, Inc. (UMI) monorail was originally installed to provide an overview of one of the world's largest modern open zoos. The maintenance facility and 1500' of track were heavily damaged, with the balance of the guideway and stations in need of major repairs. LG and Creative Technology along with Joint Venture Partner BRV formed a partnership to design and build the repairs, including replacement of the guideway, column replacement and column repairs, partial power rail replacement, guideway painting, station/building repairs, maintenance vehicle storage building repairs, and hurricane structural retrofits for the entire system to prevent future damage from similar hurricanes. 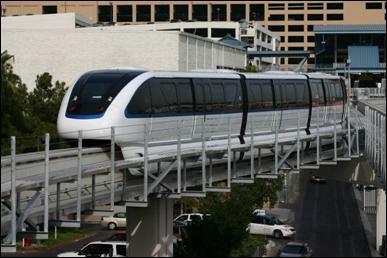 LG completed detailed design drawings and wrote the specification for this design/build monorail system. System Upgrade Evaluation. 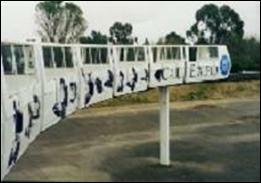 After 27 years of successful operation of this Universal Mobility, Inc. (UMI), monorail system at the California Exposition in Sacramento, California, the system was in need of an update and retrofit of various system components. LG, in association with Creative Technology of California, was hired by the Exposition, to evaluate the system, prepare an evaluation report, and make recommendations for system improvements, including conceptual drawings. The first two phases of these improvements were then completed. Phase I System Design. LG and Creative Technology designed and built a specialized self contained power rail cleaning vehicle to perform the heavy maintenance of the power rail. The four-rail power rail cleaning system successfully cleaned the 6500 feet of track in time for the opening of the Exposition. LG staff performed site inspections and prepared the improvement implementation plan to upgrade the system. System Design. TheLamoreaux Group personnel were involved in subsystem design, construction management, and testing/commissioning. LG staff’s responsibilities included the design of the train control system, guideway power distribution, communications, maintenance facility, power substation and central control. LG also prepared the specification for the maintenance computer system hardware and software, recommended award, and assisted in implementing the system. LG was involved in preparing the operations and maintenance staffing plans and operational budget for the system. LG’s responsibilities included equipment acceptance and installation inspection for the following subsystems: propulsion power substations, switchgear, transformer/rectifiers, distribution equipment, housekeeping power, stations, maintenance facility, trackwork, trackwork inserts and power rail. Construction Management. LG provided design support and managing construction of the SCADA system, station communications system, weather station, and central control. This work included supervision of resident engineers and inspectors, test engineers, software programmers, and preparing testing procedures and completing system testing as well as system integration testing. The SCADA system included central control, software, fire/security and propulsion power, PLCs/RTUs, with interfaces to ticket vending machines, station equipment, maintenance facility, power substations, wayside power, guideway drain heating system, and the Train Control/ATC system. Station communications included a 3-T1 redundant fiber backbone, radial CCTV fiber, public address system, voice monitors, telephones, and CCTV, servicing both station communications and SCADA. Central Control included workstations, servers, console equipment, consoles and raised computer floor in equipment rooms and control room. Universal Mobility Inc. (UMI) entered into an agreement with Westinghouse to jointly develop a C100 vehicle for Las Colinas. The Lamoreaux Group was responsible for preparing the project feasibility study and conceptual design for this people mover system. LG coordinated design development with Westinghouse staff, completed the conceptual design of the guideway structure which was mounted to the existing structure, completed the system capacity analysis and assisted in preparing cost estimates. As part of the design of a new Universal Mobility vehicle and guideway compatible with the Westinghouse C100 vehicle, LG was responsible for guideway, power rail and vehicle systems design, including establishing design criteria and applicable standards. LG staff wrote software to perform system network capacity analysis, guideway design, motor duty cycles and power rail load flow/voltage drop analysis. Systems Design. LG assisted in the design phase of the project, with responsibilities in design of the guideway, power distribution, power rail system, train control and vehicle systems. LG completed drawings for guideway beams, columns, foundations, erection plan, power rail, and switches. LG completed detailed wiring diagrams for vehicle wiring, cable, terminal strips, quick disconnects, junction boxes, wiring harnesses and interconnections with the vehicle equipment. LG staff wrote computer software to layout the power rail system, and provide automated manufacturing instructions to the supplier. Construction Management. 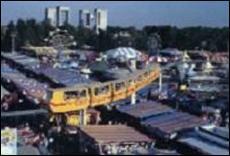 LG was responsible for all construction activities on site for the design/build/operate/maintain Louisiana World Exposition People Mover. The work included pile foundations, steel guideway, stations, power rail, power distribution, switches, maintenance facility, radio communications, and train control system. LG staff hired contractors, and administered contracts for guideway erection, power substations, power rail, train control and communications system installation. LG prepared construction progress reports, and supervised the integration testing and commissioning of the system and performed inspections on guideway, power rail, and vehicle wiring on site at the manufacturing facilities.